Crosman offer a wide range of air & CO2 guns - the products they manufacture provide superb value for money. They strive to bring you up to the minute products along with classic favourites. Our CO2 guns are available in store only. 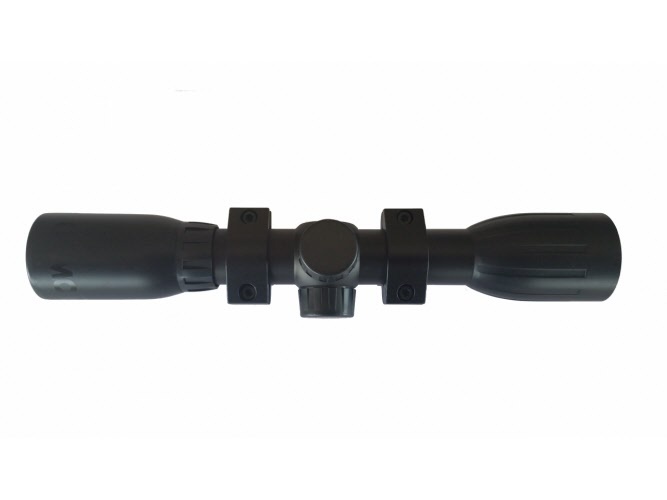 Muzzle Energy up to 10ft.-lbs. This .22 caliber air pistol features an improved bolt design for easier cocking and loading. The rifled steel barrel provides greater accuracy and CO2 power provided by the 12 gram Powerlet provides up to 6 ft lbs of power. A great pistol for target and plinking or small pests. Ergonomically designed ambidextrous grip fits the hand for perfect balance and comfort with chequering and a thumb rest on both grip panels. Rear sight is open and fully adjustable. A lightweight CO2 rifle featuring a semi automatic, 12 shot magazine - great for the younger shooter & loads of fun for garden plinking. A superb, lightweight CO2 rifle - perfect for high paced rat control. The Classic American Pump Pistol. The .177 caliber pneumatic air pistol features a single-action bolt design for easier cocking and loading, a rifled steel barrel for accuracy and an easy-pump forearm for variable pump power. The 1377C features fully adjustable rear peep or open sights and a fixed blade front. The variable pump power let you control the velocity for whatever shooting you are doing. Rear: LPA - micrometric adjustments to both windage and elevation with hardened click screws. It also includes two white dots, which line up with the front sight post to allow the shooter to aim more accurately. With its rifled steel barrel and easy to load 8-shot rotary clip, that fires either pellets or BBs , you have everything you need in one complete package. The 1088 offers the versatility of using either single-action or double-action operation. The under-barrel, Weaver®-style rail accepts most lasers and tactical lights. Powered by the 12 gram CO2 Powerlet. This semi-automatic CO2 powered pistol combines hand-held comfort with quality components, at an affordable price. It features an accessory rail under the barrel. The C11 also features a removable magazine for BBs, as well as grips that slide back for easy replacement of CO2 Powerlets. Powered by a Powerlet® 12 gram CO2 cartridge, the C41 has an 18 round spring fed magazine that ensures accurate BB feeding with every shot. An easy slide grip guarantees quick CO2 replacement resulting in less downtime and more time on the range. Rear notch and front blade sights ensure accurate shots every time. This complete kit includes the T4 pistol, 100 Crosman pellets, 100 Copperhead® premium BBs, two Powerlet 12g CO2 cartridges and adult shooting glasses.